I have been snuggling with the Sesame Street Lullaby & Good Night Elmo Toy ever since I brought it home. I know my little Caleb is a bit too young for this toy, but I am going to hold onto it until he is ready to snuggle with his soon-to-be best friend. I did a video review so you can hear some of what Lullaby & Good Night Elmo has to say. 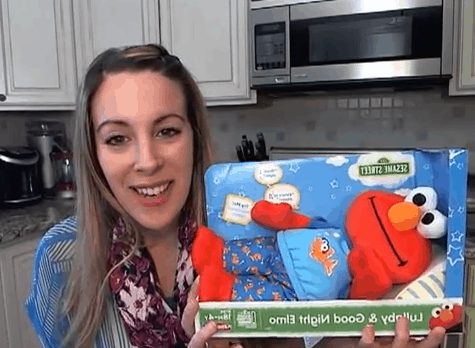 The Sesame Street Lullaby And Good Night Elmo retails online for under $18.